Science writers generally fall into one of two categories: Some of us are textbook authors trying to convince ourselves that we are storytellers, while others are journalists who aren’t real scientists but like to play them on TV. Alan Lightman, however, is different. He is the poet laureate of science writers. His best-known book, Einstein’s Dreams, a lyrical novel putting us inside Albert Einstein’s mind as he makes his great discovery, established him as the Picasso, the Schoenberg, the Gehry of science writing. He didn’t just do it better – which he did – he did something with the genre no one imagined could be done. He created narrative poetry from relativity theory that was nothing short of magical. So, when a new work by Lightman emerges, the excitement is legitimate. Searching for Stars on an Island in Maine is what we can call a grand unified intellectual narrative. Lightman points out that most physicists have a motivating belief in a final theory, a grand unified theory, a theory of everything. There must be, they hold, a single, elegant, ultimate law of nature from which the rules that govern all observable phenomena can be derived. Similarly, science writers long for a grand unified intellectual narrative, a discussion of everything, a single coherent conversation that will unite the great insights of physics, philosophy, religion, biology, art, neurology and sociology. This is Lightman’s. Then he took his boat out to his summer home on Pole Island, Maine. It was a beautiful night, and Lightman cut the engine and lay down on the deck. Floating silently in the night, looking up at the stars, he felt himself transported out of his body, floating up among the heavenly lights, feeling a deep sensation of connectedness – not only Lightman with the stars, but of all things. It was a spiritual experience. This is the question of the book. There are three different approaches to the spiritual. Philosophers label them religious rationalism, fideism and phenomenology. Rationalism is the view that we can demonstrate the likely or certain existence of God. Fideism holds that proof of God’s existence is irrelevant as religion requires faith, not reason. Phenomenology contends that religion is not a matter of believing at all but of feeling. Spirituality is a result of lived experience, not abstract propositions. The book is made up of 20 short vignettes, each dedicated to a big idea – stars, truth, centeredness, death – weaving together expected and unexpected sources. The sections are short but thoughtful, allowing the reader to savor a piece at a time or to make a meal of the whole. Searching for Stars on an Island in Maine demonstrates Lightman’s ability to make the most abstract notions accessible to all. No background is needed in physics, philosophy, religion or any other field to fully understand every step of the wide-ranging intellectual trek. No matter who you are, you will emerge ready to be more impressive at your next dinner party. 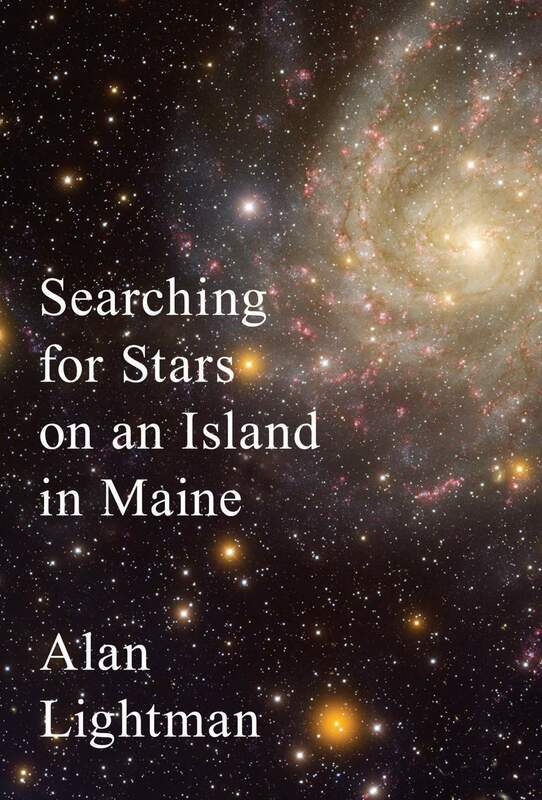 Searching for Stars on an Island in Maine reads like you are sitting on a lichen-covered bench on Pole Island alongside one of our best minds, exploring the geographic features of the entire intellectual landscape. No matter your views on science and the transcendent, this engaging read will be as pleasant as a summer afternoon spent on an island in Maine with good company. Steven Gimbel is a professor of philosophy at Gettysburg College and the author of Einstein: His Space and Times and Einstein’s Jewish Science: Physics at the Intersection of Politics and Religion.